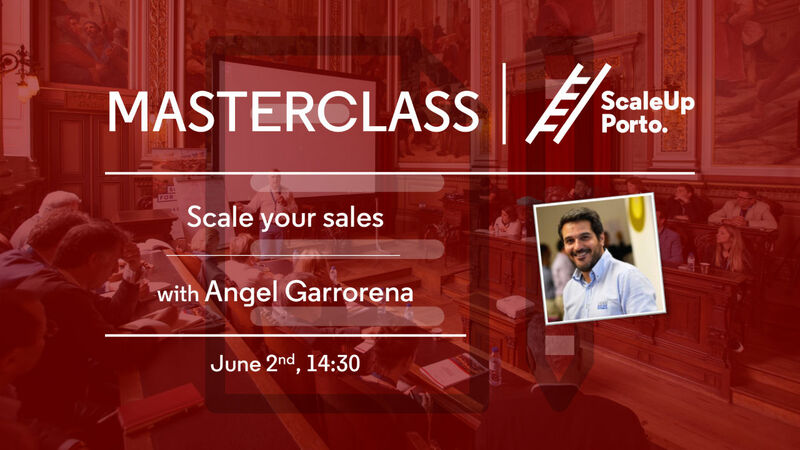 Masterclass: Scale your sales | ScaleUp Porto. This Masterclass will address strategies and tactics to scale your sales process. We’ll provide a solid understanding on how to set and grow sales plus some specific tactics that you can apply right away. Full of examples from real companies, you’ll learn how to attract your customers and how to scale to drive thousands more. CEOs and everyone involved in the sales process at growing startups and scaleups. Angel worked for renowned multinationals like Reuters, Xerox or Sitel, developing business and sales. He also had his own companies since 2003, where he learned the differences between selling the backing of a great brand or to sell by “himself”. With over 18 years of business experience, he developed a sales methodology, teaching to startups around the world and helping large companies.